Here is part 2 to the previous post. The next store I went to was my other favorite, CVS. I did not get much from here, because again, I mostly only get what I need. I needed tissue, soap, and a little eye makeup. I do not clear shelves or anything like that because I do not want to have a stockpile. Once my storage closets get full, I stop until I use some of it up then continue to shop. Ok, let me begin with explaining CVS's coupon policy. They do not double coupons and do not accept competitor coupons. 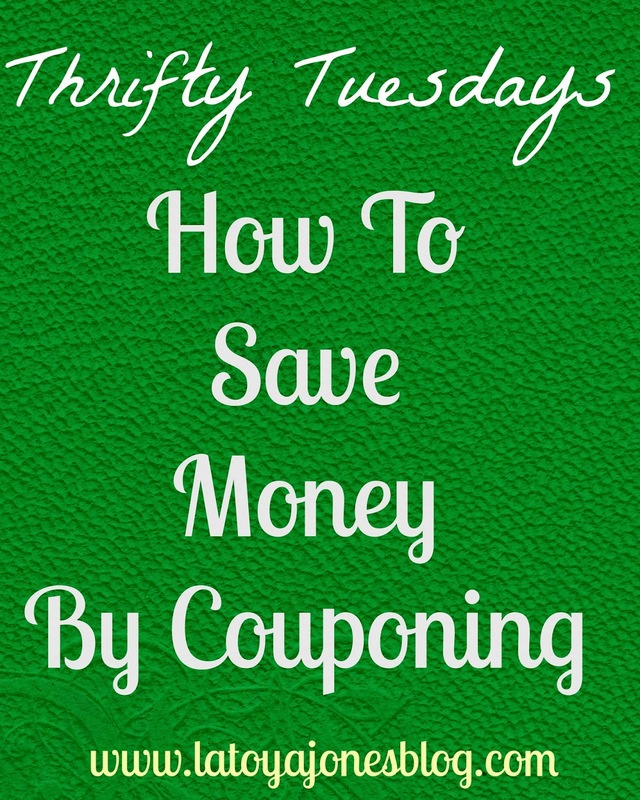 They do however, accept extra care bucks along with coupons so you often have to be strategic with how you spend. 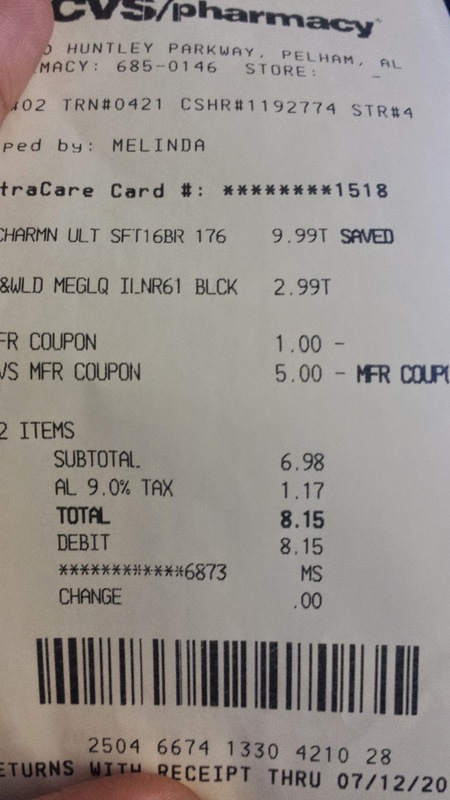 I had $6 in ECB from previous visits and 2 $1 off 2 coupons for the Dial soap and bodywash. My total was $13. Minus my $8 in coupons my subtotal was $5. With tax I paid $5.90 and got $3 back in ECB so it was really like paying $2.90 for $13 worth of stuff. My next transaction was for my razor. I almost did not get it because I thought the paper said they were $6 and you get $5 ECB back. When I got to the store the Venus razor was $12.29 and you get $5 ECB back. 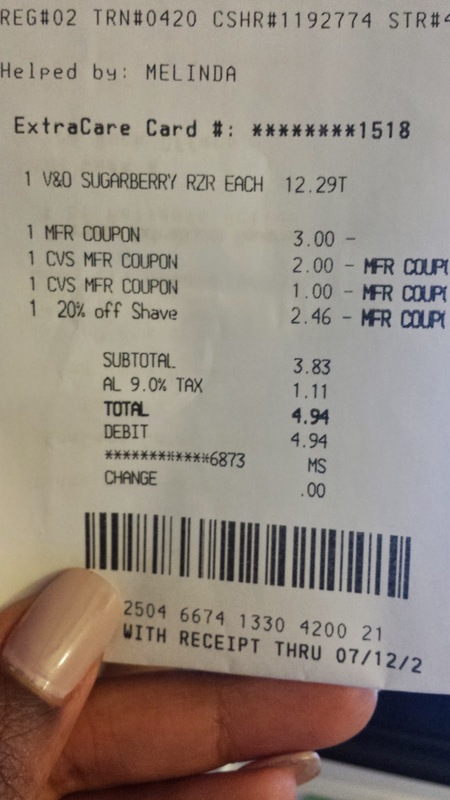 But I got a 20% off razor at the CVS machine (located in the front of the store) as well as a $3 coupon along with my $3 in ECB from the previous transaction. Here is the receipt for that transaction. Total I paid $4.94 for the razor. Winning!! And it had five blades on it! I got $5 ECB back so this razor was actually a $.06 moneymaker. CVS limits you to just one per household so I could only take advantage of this deal once. Next, I wanted to get some toilet tissue. I find that drug stores have better deals on paper towels and toilet tissue than grocery stores. They had Charmin 24 pack on sale for $9.99. I also needed some liquid eyeliner and it was $2.99 and I had a $1 off coupon for it. I used that with my $5 ECB from the previous transaction and ended up paying only $6.98 plus tax for a transaction that should have been over $18! All total, I paid $18.99 for $45 worth of stuff!! Now do you see why CVS is one of my favorite stores?? And I got all stuff that I need including tissue, soap, and makeup! !